We are delighted to feature an interview with Edward Zeng, the highly experienced, Shanghai-based Senior Partner of HanSheng Law Offices and co-founder and senior parter of Shanghai Kingfaith Consulting company. Edward Zeng and his team have extensive experiences of helping MNEs to manage their Customs compliance issues in China. As you will see from the interview, these Customs issues are closely related to Transfer Pricing. What do you see as the biggest mistake which multinational corporates make in managing import tariffs on imports into China from related parties? The biggest mistake, I would say, is underestimation or being unaware of China Customs-compliance risks in their management of trade and supply chain, and even in their mergers & acquisitions in relation with China. Import tariff is just one of many customs issues that MNEs must pay high attention to. China Customs administers an extensive range of responsibilities. Traditionally, it collects customs duty, VAT and consumption tax on imports and import-related license fees and royalties, controls the security and legality of import and export activities, supervises customs controlled zones and bonded operations, imposes administrative penalties on non-compliance and IPR infringements, and conducts criminal investigation into smuggling. As the new institutional reform of China’s State Council is rolling out, China Customs’ responsibilities further expand to include all the functions of entry-exit inspection and quarantine that used to be performed by other agencies. The large scope of China customs’ law enforcement dictates that there is substantial amount of customs-compliance risks, besides tariff issues, to be managed by enterprises in their cross-border transaction and supply chain management. Customs-compliance risks may also lie in mergers & acquisitions in relation with China, as the target company may have compliance problems or other customs liabilities that are yet to be exposed and will be attached to the buyer. For example, the target company may have manufacturing plants in customs controlled zones and irregularities in their operations may not have been discovered by Customs; or capital equipments imported by the target company under tax-concessions are still within customs supervision period and may be liable for tariff and taxes. Moreover, risks may exist in relation with third-party service providers, such as customs brokers and logistics service providers that are commonly involved in the supply chain operation. The third-party service providers usually regard “fast customs clearance” as their first priority and attach low importance to customs compliance. This poses potential risks for enterprises, as Customs will always hold the final importer or exporter accountable in cases of non-compliance. Luckily some enterprises have realized this and made efforts to put in place sound screening and managing procedures in respect of third-party service providers. If any one of such risks materializes, an enterprise may suffer from a customs investigation that may suspend the manufacturing or distributing operation, or disruption to supply chain due to greater inspections at border, or administrative penalties for non-compliance, or even criminal investigation and possible seizure of goods that the enterprise cannot afford. What’s more important, the administrative penalties and criminal investigations may have serious implications for the management personnel of an enterprise. What are the factors that contribute to customs compliance risks faced by multinational corporates? One major factor that contributes to compliance risks is the complexity and technical difficulty of customs issues. Our experience with clients indicate that most enterprises were confused facing customs enquiry or audits, which is quite understandable. China customs enforces a specialized legal system that features an intricate web of international agreements, laws, government regulations, decrees and orders, and is very different from the fields that enterprise management or general legal practitioners are familiar with. Besides, variations in practice even make the issue more complex. Take customs valuation for example. Customs valuation determines the price base for the tariffs and taxes payable and thus transaction prices declared by enterprises are subject to strict customs examination and auditing. However it is quite sophisticated in legislation and becomes even more complicated in practice. 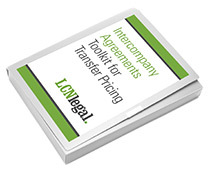 Which elements or items of price should be included in the transaction value requires careful consideration and legal assessment, especially in the case of transfer pricing within companies group. Customs valuation issues affect matters as diverse as license fees & royalty, rental charges, “assists” (materials/engineering/development provided by the buyer free of charge or at reduced costs for use in the production or sale for export of the imported goods), commissions and brokerage, the proceeds of subsequent resale/disposal/use of the imported goods, warranty arrangement, the expenses related with financing interest/technical training or assistance, etc. Customs valuation is also closely connected with the trade mode and business arrangement, as the same price item that shall be added to the transaction price in one trade mode may not be dutiable if the business arrangement varies. On top of that, the transfer pricing policy and its implementation as a whole is quite likely to be questioned and rejected by the customs authority even when the transfer pricing is accepted by the tax administration. Customs and tax authorities adopt two different, even conflicting sets of rules and methodologies as regards transfer pricing issue. The ground for rejection by Customs is that the related party transaction influences the transaction price based on Customs examination in accordance with customs valuation rules. Noticeably, transfer pricing is drawing increased attention from China Customs. A number of industry-wide customs audits of TP have been initiated targeting automobile, pharmaceuticals and other industries. Many MNEs have been audited and typically substantial amount of tariff and taxes were subsequently collected. A recent development is that, since 2016 the importer is required by law to declare at time of entry (a)“if the buyer and seller are related” and (b)“if their relationship has influenced the transaction price”. This legal requirement implies that China customs has singled out related-party transaction (TP) as a major customs issue. As a result, importers shall make truthful declarations about these two items, otherwise consequences and punishments will follow. That brings more compliance risks to MNEs besides uncertainties in their TP arrangements and financial implications and burdens. The good news is that the conflict between customs valuation and transfer pricing has been realized by the international community and joint WCO-OECD conferences were held in this respect. Besides efforts made at the international level, domestic customs and tax authorities are also encouraged to strengthen dialogue and exchange of information. With ongoing reforms in international tax regime and implementation of BEPS around the globe, it is expected customs regulation of TP issue will also evolve. We will keep following its development and hopefully it will be less of a headache for businesses. Which types of imports tend to carry the highest risk from a Chinese Customs perspective? To answer this question, we may look at it from the “enterprises” rather than “imports” angle. As part of its constant innovation efforts, China customs has moved its work focus from supervision of consignments of goods to regulation and management of enterprises behind imports and exports. A full set of enterprise management rules and regulations have been enacted to guide and incentivize enterprises to promote their customs compliance. Meanwhile specialized units and staff have been put in place to carry out the accreditation and management of enterprises. Those accredited by customs will be granted privileged treatment in their customs processes. However, enterprises which have a poor compliance record or which have infringed customs laws will be “blacklisted”, and their imports or exports be rated as high-risk and consequently attract greater border inspections and other “troubles”. Moreover, under the state initiative of building social credit system, other ministries or government agencies will join China customs to impose punishments together on enterprises with poor customs compliance records. In other words, enterprises’ infringement of customs laws and regulations may lead to consequences in other areas of their daily business in China. To sum up, the risks of imports are closely associated with customs-compliance level of the importing enterprises. Enterprises must adjust and upgrade their mindset, shifting their risk-management focus from each consignment of imports to “enterprise” as a whole. What specific requirements apply in China as regards the form or content of intercompany agreements, to support Customs compliance? At this stage, there are no specific requirements by China customs as to intercompany agreements. However, intercompany agreements, especially in relation with distribution, licensing, R&D, marketing services, play a vital role in Customs audits of TP and other processes. They form a key part of basic documentation requested by Customs and are usually under close scrutiny of customs officers. Customs officers examine the agreements generally to identify the trade, financial and licensing arrangements, and specifically to discover clues as to customs valuation & other issues and to search proof in favor of customs claim. Besides, any inconsistency or conflict of the agreements with other documentation may be used to challenge enterprises’ claim or defense. In practice, you will see a lot of customs decisions quote clauses and words from the intercompany agreements as evidences to support the conclusion. Meanwhile, in our experience it isn’t rare that some agreements, being unaware of customs issues, “voluntarily” revealed their problems to Customs. Therefore, the content of intercompany agreements is of great importance in relation with customs audits and examination though there is no specific requirement as regards the form of those agreements yet. What’s to be noted, China Customs has been making constant efforts to regulate transfer pricing issues. It is reasonably expected that more concrete rules will be developed as to related party transaction and TP, under which documentation requirements will probably be also put in place. How would you describe the approach of the China Customs officers in enforcing compliance? How do you expect this to change over the coming years? If the approach of the China Customs officers in enforcing compliance is to be summarized into two key words, I would use Aggressive and Comprehensive. As has already been witnessed by many MNEs, China Customs have been quite “aggressive” in auditing enterprises on their licensing fees & royalties and TP lately. Major industries and a large number of MNEs have already been covered. According to our observations, this momentum will keep building due to the following developments. China Customs has carried out unprecedented reforms in recent years, along with large-scale legislative amendments. These reform efforts will on one hand greatly expedite customs clearance, on the other hand reinforces enterprises management and regulation prior to and post customs clearance. One of the prominent changes is that enterprises in most cases will go through the customs declaration process free of customs verifications, and the duties will be calculated and paid based on their self-assessment. In doing so the onus for ensuring declarations to be accurate has totally moved to the importers. Besides, with decreasing customs control at border, post-clearance audit will inevitably be strengthened as the major force to enforce customs control and compliance. We have seen more human resources being deployed to specialize in post clearance auditing operations and KPIs being formulated as to their performance in audits. In this context we reasonably expect that China customs will be more aggressive and comprehensive in enforcing customs compliance. It wouldn’t be rare that a lot of irregularities or non-compliances that have accumulated unconsciously by an importer during the course of 1 to 3 years will be exposed together in front of customs auditors. How did you get into working on customs duty related legal matters? I started my career in the IP field and gradually built my team to help clients deal with various IP affairs in China. China customs enforces IP protection at border and my IP law practice afforded me the chance to have interaction with China customs, which aroused my interest in a wide range of customs issues. As we counseled more and more MNEs on their businesses, we found that they were faced with increasing Customs compliance issues. In my first such case, as I still remember clearly, my client was audited by local customs in relation to its manufacturing plant in a customs controlled zone. Later on an increasing number of customs cases with respect to licensing fees & royalties and transfer pricing were brought to us by our clients for advice. Then we were engaged to advise on their general customs issues, to review their customs compliance, and to assist them with their responses to customs audits and inquiries, etc. To achieve the top level is always our pursuit in providing legal services to our clients. As we expanded our customs law practice, we also strived to bring our team to the top level in this area. We are very lucky to have Harvey Lee join us, who is a customs and trade compliance expert with abundant expertise and in-depth understanding of customs issues. I believe his presence in our team will greatly enhance our ability to provide top-notch services to our clients in customs issues. The most influential role model for my professional life is Professor. XinLiang Tao, a senior IP lawyer, whose accomplishments have received a lot of acknowledgments and rewards, including ALB “Top 15 Lawyers” in 2015, MIP “The Star of Trademark and Patent” in 2015 and 2016, Asia Law Profiles “The Market Leading Lawyer” in 2016, Chambers Asia-Pacific “Masters in IP litigation” from 2014 to 2018. I was very fortunate to work with Professor Tao in Dentons Shanghai for four years, which much furthered my understanding of providing legal services and enhanced my faith in legal profession. His outstanding professionalism and high ethical standards set a great role model for me and will always be my goal of pursuit in my career. I guess it must be James Spader, who played Alan in Boston Legal very successfully. Boston Legal is also a big success liked by a lot of viewers, especially legal practitioners. Among all the roles in this TV series, Alan played by James Spader impressed me the most. Alan is a super talent. He is eloquent, witty, persistent in his career path, caring for friends and has a lot of compassions and strong sense of justice. These personalities attract me very much. What would be your dream job if you didn’t work in law? If I didn’t work in law, I wish I would be a diplomat. Then I would be able to travel a lot to see different cultures around the world, so that I can help bridge the difference between them and make my contribution to international peace and development. My biggest extravagance took place in the first year I joined the workforce after graduation from college. I still remember the monthly salary then was only 1000 RMB, but I spent over 10,000 RMB on an IBM laptop which I had long desired. Friends and colleagues around me were all jealous of me but thought it was too big an extravagance. However it was worthwhile as I took it as a precious gift given to myself. I usually go for a stroll to relax. Breathing in fresh air in the woods will refresh my mind and body. Sometimes I also play volleyball and the teamwork throughout the match is quite enjoyable.